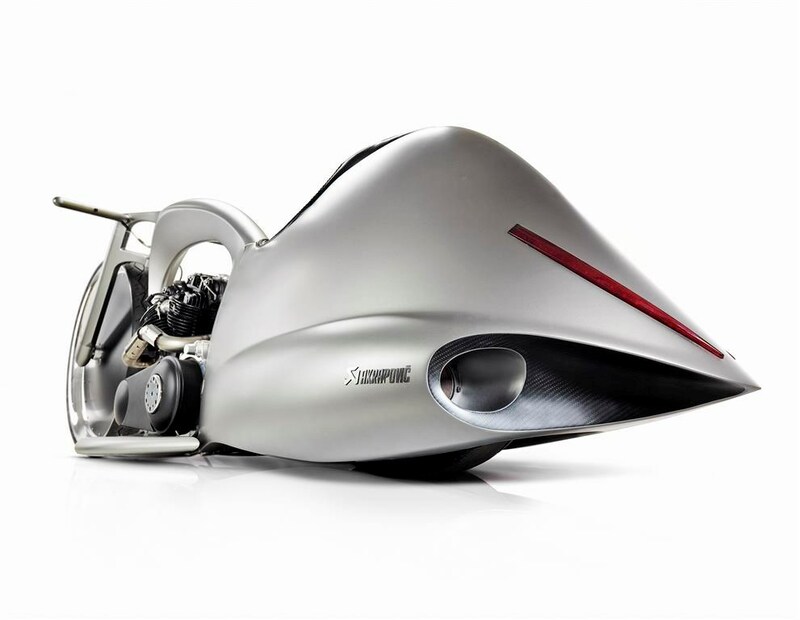 Let’s take a look at the Akrapovic Full Moon motorcycle concept. 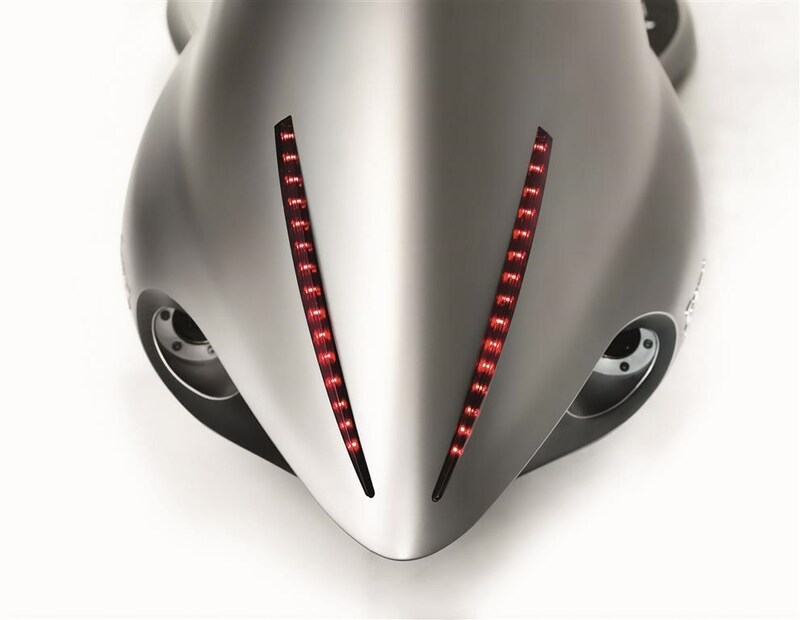 Akrapovič (pronounced a-CROP-o-vitch) makes exhaust systems for cars and motorcycles. Their handy work is in the Volkswagon Golf, the Audi R-18 E-Tron quattro and the Morsus custom bike. 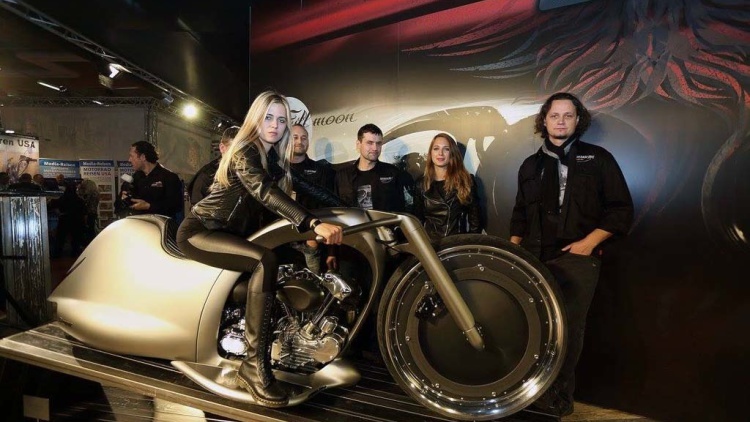 When the Slovenian company debuted their Full Moon Concept Motorycle at the Bad Salzuflen Custom Bike Show in German, they took everything to the next level. 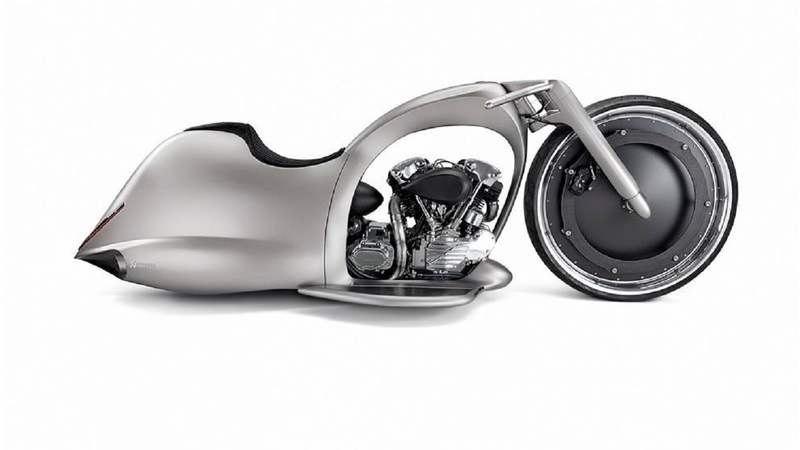 With an enormous and visible aluminum and carbon thirty-inch front wheel (the full moon) and sheet metal body, this Full Moon motorcycle concept looks otherworldly. That wheel is 30 inches in diameter; that’s 13 inches wider than a Ducati 1299 Panigale front wheel. The frame and bodywork are the actual exhaust. The system eventually ends with a cat-eye type of extension. It makes perfect sense. Of course, they modified their own exhausts. Inside the Full Moon is a S&S Knucklehead 1,524 cc engine. The concept motorcycle loaded with plenty of tech, too. There’s automated steering and a hydraulic suspension so the bike can park upright. 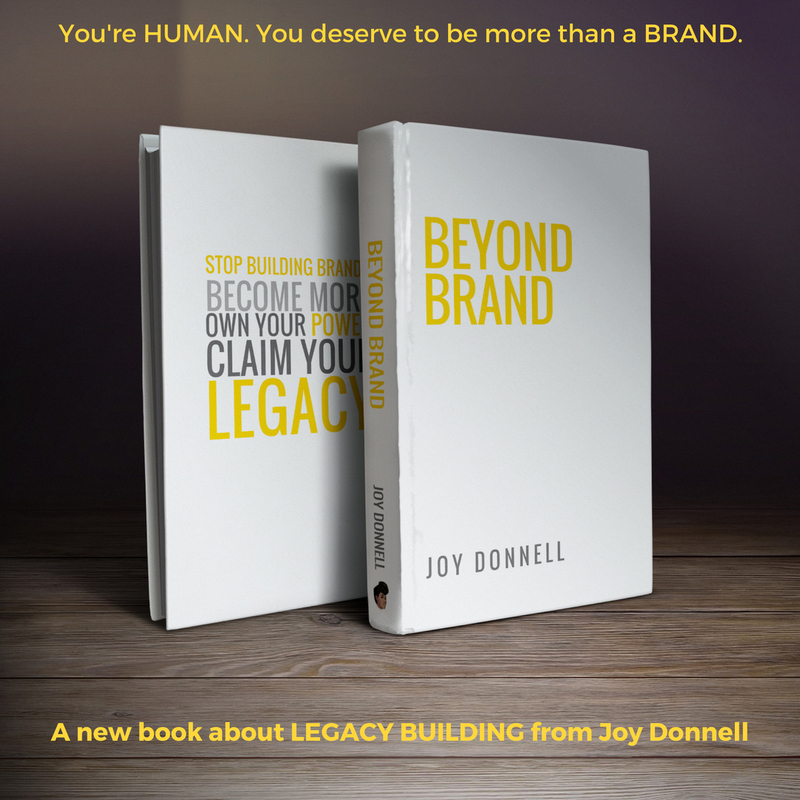 This is definitely going on the wish list.